These augmented reality glasses are being tested for use with medical conditions. Starting at the end of last week, the emergency department at Rhode Island Hospital became the first one in the country to start to use Google Glass and its associated wearable technology for streaming live images of the medical conditions of the patients who were being seen there, in order to be able to consult with a specialist who was located somewhere other than in the hospital. This is the start of a feasibility study that is meant to test the augmented reality glasses for six months. Should the use of the Google Glass prove to be successful, Dr. Paul Porter, the project coordinator, believes that the use of these mobile devices will only expand in the medical arena. Potential users could include first responders in ambulances, surgeons, and others who could benefit from the recommendations of specialists while they are on the field or when there is no local specialist available. 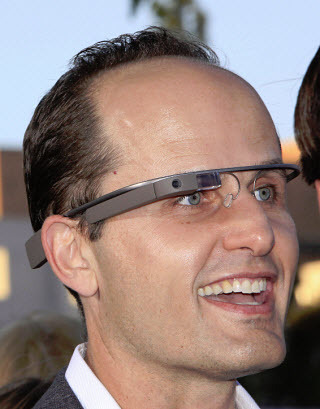 Porter is highly enthusiastic about the possibilities for Google Glass in the health care environment. He stated that it would be “like the Holy Grail” but added that “we’re just at the beginning; you have to start somewhere.” At the moment, the hospital will continue to test this wearable technology exclusively with emergency room patients who are suffering from various forms of dermatological struggles, such as skin rashes. These patients must volunteer to be a part of the study as opposed to being automatically entered into it. The reason is that Porter feels that the standard of health care at the moment makes it so that handling these types of problems within an emergency room typically involves a basic visual inspection while asking the patient certain types of questions such as whether or not it is itchy, painful, etc. The reason that these specific types of cases have been chosen for testing Google Glass in the emergency room is that if any glitches should occur within this wearable technology – such as a loss of the connection for audio or video – then the life and health of the patient will not be placed at risk.